According to a Dotcom Distribution study (relayed by Bizreport on 2016) which approaches rapidity in delivery as a customer loyalty element : 87% of consumers on online stores say being influenced by displayed delivery dates. Another study (study conducted by UPS et Comscore) concerning “online customer’s user experience” announce that approximately 55% of customers ordering online consider the display of a delivery date as crucial during their ordering process. On this same study we learn that 24% of order abandonnement is due to the absence of a delivery date. Even if delivery cost plays an important role on the decision of purchase, rapidity of delivery and displaying a delivery date represent key reinsurance elements. Baymard Institute which conducts usability tests has identified that displaying a delivery date is a determining factor in terms of UX and it is preferable to display a date, even an estimative one (13-15 April 2018, for example) rather than a duration time in days (3-5 days, for example). The study shows that in the second case, users have a hard time interpreting the delivery period. Not knowing which days to include or not makes it difficult for consumers to estimate the date they will receive the order. This creates an incomprehension which tends to slow down your customers’ ordering process and even discourage them. 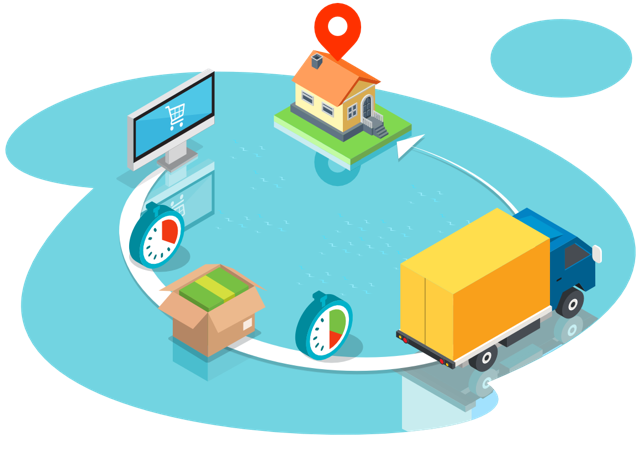 Period of delivery in numbers of days should be a data only used within the company which can be helpful for logistics management but it is not relevant information for users. Despite this fact, many online stores still display a delivery period in days. This article also shows that almost half of the online stores surveyed don’t achieve an optimized display of this delivery date, despite many existing technical solutions. Thankfully, it exists a technical solution for Magento 2, easily and quickly implemented : the new extension Estimated Delivery Date from Blackbird. With EDD define with great accuracy which days order preparation can’t take place, and thus leave those days out. Imagine a merchant whose stocks are in different countries and with different non-working days. The user can then create a group of days off for each country and easily reuse them in the following steps. It is also possible to define a daily preparation cut-off time, beyond which orders will be prepared the next day. Preparation and delivery rules are defined with conditional trees which guarantee a precise and smooth configuration. As the native promotional tool from Magento, all attributes can be selected to cover an infinity of different cases. For example, if a category of articles needs specific package conditions we can easily assign them longer preparation rules. Delivery and preparation times are then defined in number of days according to the different rules chosen by the user. With EDD you are able to modify and adapt the displayed messages for all stores, even multilingual. You are also free to choose on which types of pages you want to display this message. Estimated Delivery Date from Blackbird is a great technical solution which allows you to easily display trustworthy delivery dates on your Magento 2. Try it out with our demo. Do not hesitate to contact the Blackbird Team for further information. You can find this extension on our store.